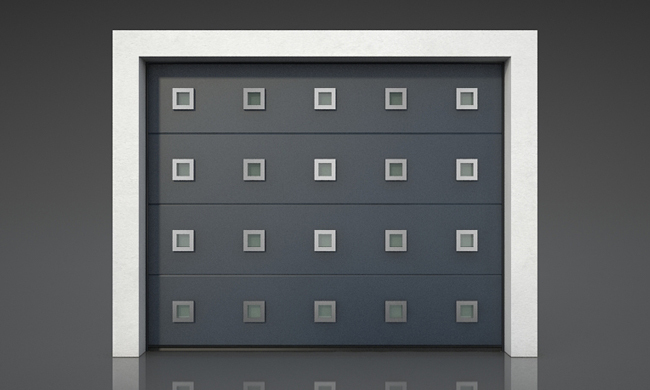 The garage door occupies a lot of space on the building’s facade, thus it should look perfect. 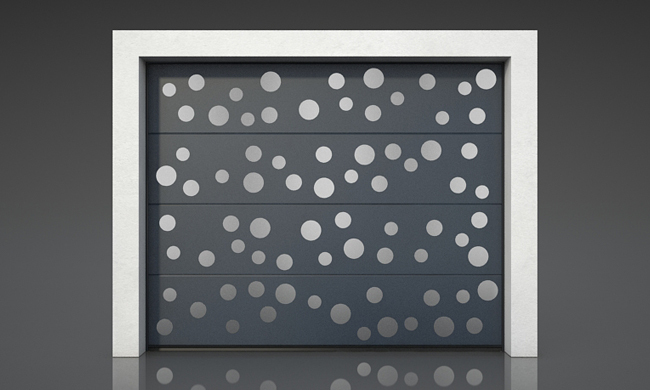 That is why MCA developed MCA VOGUE – the stylish garage door. 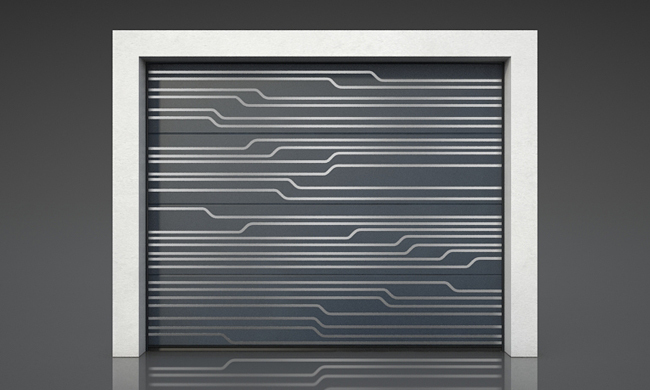 The prototype is built on a sectional door platform, enriched with stainless steel inserts, mechanically fixed. 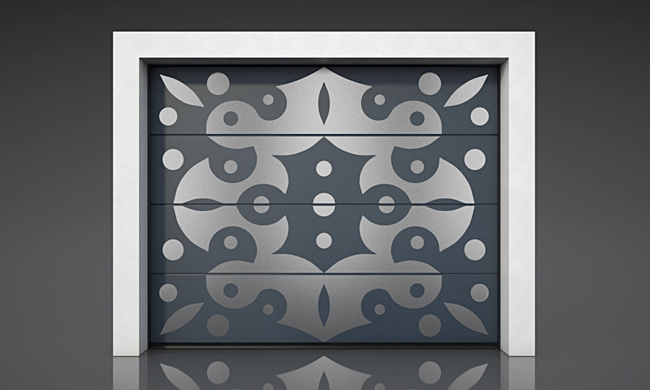 Each door built this way is a unique product, with a one of a kind pattern, personalized at the precise indications of architects and building planners. Stainless steel inserts can be made on different patterns, starting from geometrical forms such as circles, squares and triangles and continuing with various combinations of the most fashionable designs. 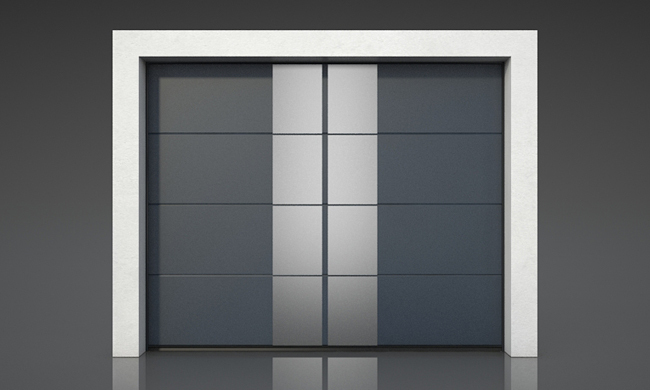 The garage doors producer is thus aiming to fulfill the needs of special clients who want to add to their homes or office buildings a plus of style and elegance. Built on German technology, with high quality standards, MCA VOGUE garage doors have a guaranted operation of 15 000 / 25 000 cycles, which represents a ”life span” of over 35 years for a medium operation of two cycles per day. For the first 10 years of exploitation MCA guarantees an impeccable operation. Sectional and automated garage doors are very practical, they give a modern touch to the building and increase its market value. MCA uses automations made by Sommer Germania. Under the MCA name are closely over 15 years of experience, 90 people involved in the production and distribution activities and the desire to improve. 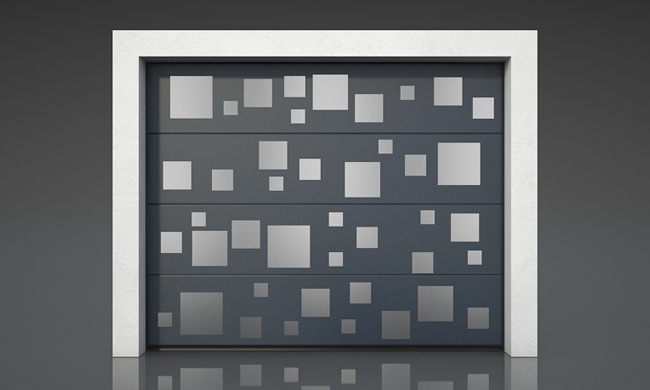 The products offer is improved and extended with services for installation ,technical consulting and specialized service.Development strategy is directed towards the establishment of partnerships with architectural firms, construction and enterprises.